Home to over 115 million people and one of India’s key financial centres, Mumbai, the state of Maharashtra has for the past few years facing a growing problem that needed to be addressed rapidly – water scarcity in both urban and rural areas. Over 97 Talukas (districts) were identified as being in critical status. Maharashtra wanted help to develop a detailed implementation programme to deliver a drought-free city by 2019. 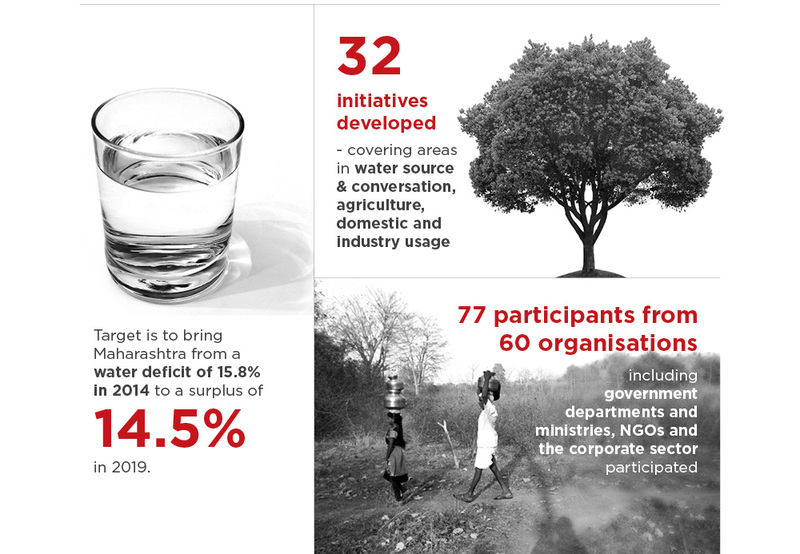 With a clear ‘true north’ of delivering a drought-free city by 2019, the Lab facilitated by PEMANDU recommended a total of 32 initiatives, allowing Maharashtra to re-align its priorities and be on the right track to deliver its objectives.